its infancy during the 1930s, Lilly did all he could to familiarize himself with the aims, objectives, and techniques of these earlier times. Today, the property is an open-air living history museum divided into five distinct historic areas covering 1,400 acres exploring the lives, times and values of the 1800s in America. 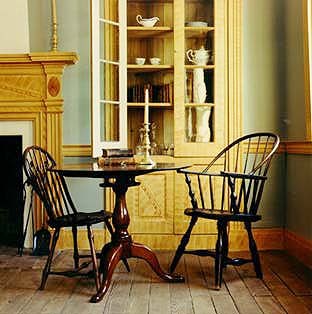 You tour the statesman Conner's 1823 Federal-style home. One of the first brick homes built in central Indiana. You tour the Conner Barn, Garden, Loom House, Spring House and the Nature Trail. The period furnishings and interpreters dressed accordingly gives you impression that you are personally a guest of the statesman himself. from the 19th-century, dip candles and literally find yourself in the past. The interpreters all speak as though they were actually back in the 1800s. Hear the schoolhouse bell and cross the covered wood bridge. A quaker meeting house and rural crossroads is the newest attraction. Come back in 2002 and see the working farm. 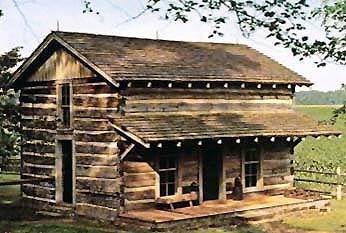 Visit Duncan McKinnen's log trading post and a reconstructed frontier. Explore traditional-style wigwams, and learn about the history and culture of the Lenape Indians. Participate in activities such as making a dugout canoe or grinding corn. Hear stories of adventure and share a truly unique experience with your family. Conner Prairie welcomes groups of all sizes and most buildings are accessible to wheelchairs. The Museum Shop offers re-created historic decorative wares, jewelry and gourmet foods. The Persimmons Restaurant is open for lunch and dinner. Reservations are recommended. There is also a Cafe that offers snacks and sandwiches. call for information 800-966-1836.